TriStar Electric, Maryland’s premier residential and commercial electrician, is proud to announce that we have recently launched a brand new website. Check it out and let us know what you think! The new site is designed to allow us to better serve you, the customer. Browse through our detailed list of services, take a look at the various types of lighting and generators we offer, and take advantage of our special offers. You can also view our gallery of previous projects. And if you have any questions, simply click the Contact Ustab and fill out our contact form. We will get back to you as quickly as possible. 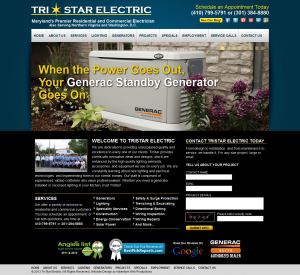 Our new website is just another way TriStar Electric continues to be Maryland’s premier residential and commercial electrician. Founded two decades ago, TriStar Electric provides electrical and lighting services, ranging from outdoor lighting to under cabinet lighting and smoke alarm installation, throughout Maryland. We have thrived throughout the years because of our dedication to customer service. 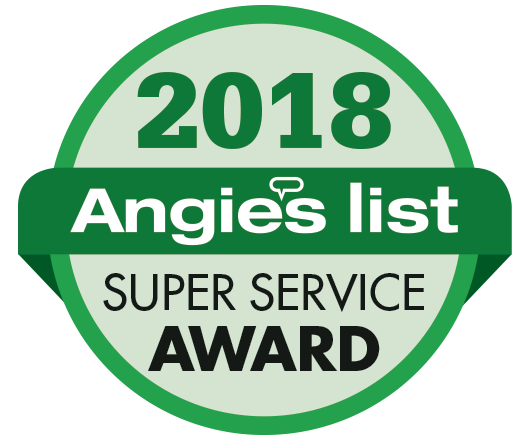 We believe it is not good enough to just provide professional service to clients, but we also strive to provide each client with personalized customer service, educating them about the best lighting and electrical choices for their residence or business. TriStar Electric is dedicated to providing unsurpassed quality and excellence to every one of our clients! Our staff is comprised of experienced, skilled craftsmen and master electricians who value professionalism. This knowledge and experience is a resource that places TriStar above the competition. If you have any questions, please contact TriStar Electric, Maryland’s premier residential and commercial electrician, by calling 410-799-5791 or 301-384-8880 or fill out the contact form on our website. You can also follow TriStar Electric on Facebook, Twitter, Google+, LinkedIn, Pinterest, and YouTube. This entry was posted on Wednesday, October 2nd, 2013 at 1:53 pm. Both comments and pings are currently closed.